Have you all tried Bristol Smooth paper yet? My good friend Julie Ebersole has been using it for years. I finally tried it myself and I really love it! 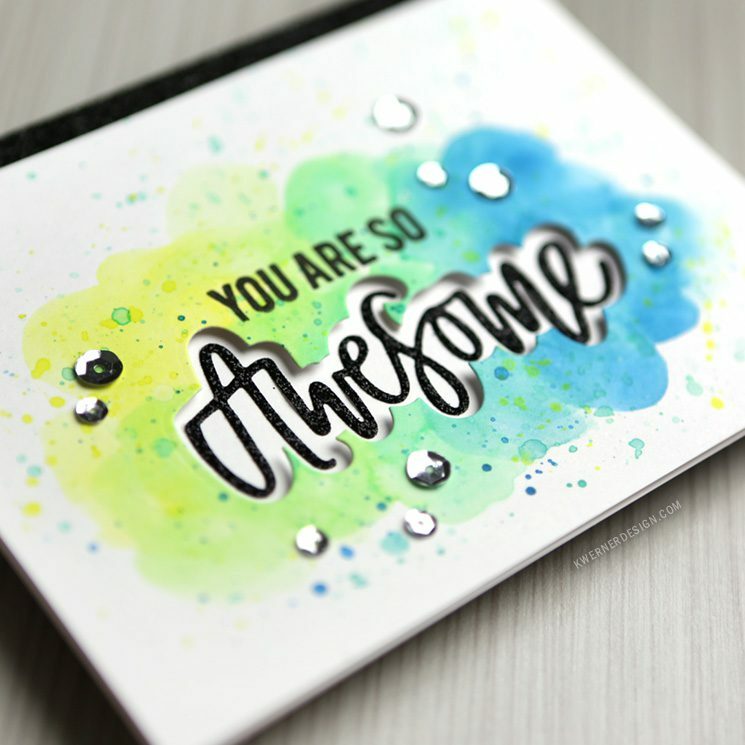 In today’s card video, I used it for some watercoloring. I have strictly used watercolor paper in the past when I’m watercoloring, but I really do love how the watercolor looks on Bristol paper! And it’s so super smooth, it’s a dream to stamp on, too. I used Neat & Tangled’s Awesome dies to create the large die cut area. 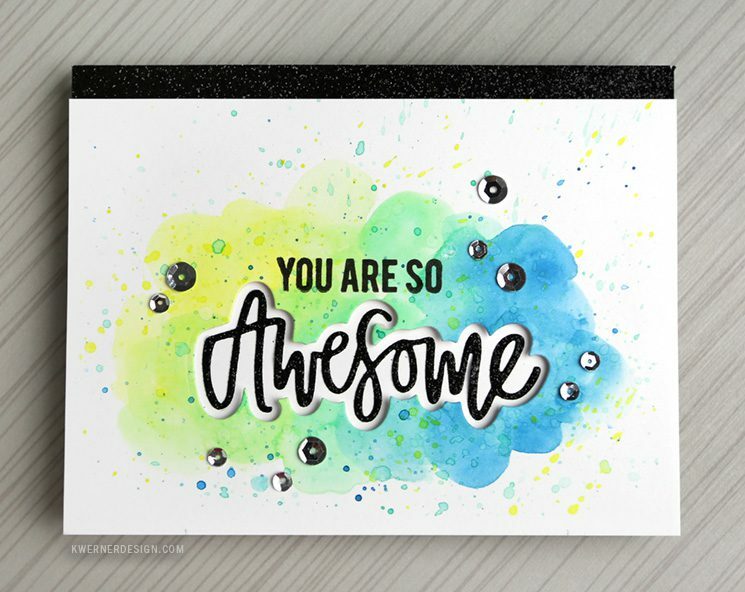 Then I stamped “you are so” using their Awesome stamp set that coordinates with the dies. Super fast and easy! 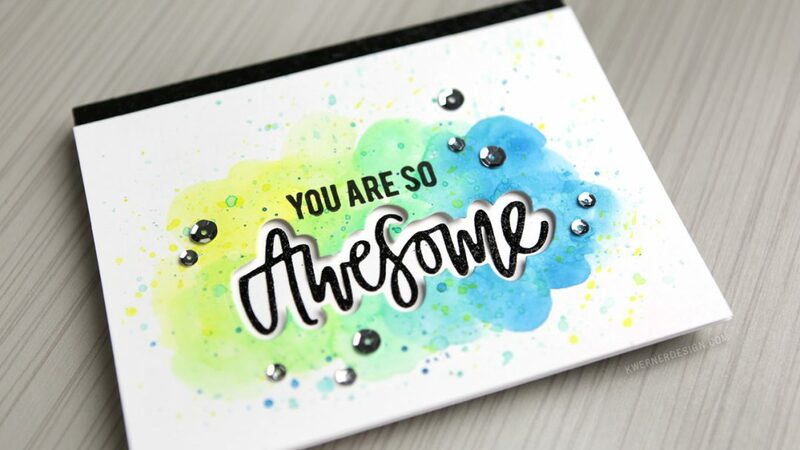 And I love all the different greeting in the stamp set–you can really use it for lots of different occasions. Items marked with an asterisk (*) were provided by the manufacturer. All other items were personally purchased. Items below are shown in the order they appear in the video.